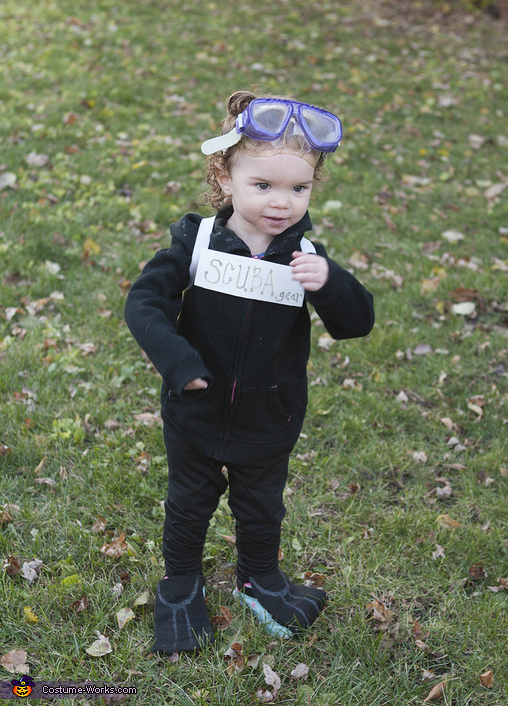 Tessa, age 23 months old, is wearing a Scuba Diver contest that her big sister (age 12) made for her. Tessa is the only toddler I know who watches "The Dolphin Show" on YouTube as her little bit of TV time almost everyday. After going to Sea World with family this summer, she seemed to take to dolphins, so the Scuba Diver costume seemed to be a good fit!